Marble Falls High School Mustangs at the line. This story originally appeared on Texas Public Radio. It’s the third in a four-part series. High school football in small-town Texas is a spectacle. There’s the high kicking dance team, the marching band, the cheerleaders, and finally the football team rushing onto the field. On this night, it looks like the entire population of Marble Falls is wearing purple and filling the school’s stadium to cheer for their Mustangs. “It’s Friday night – Friday Night Football,” says Diana Cox. She’s on the sidelines, watching her son play for the Marble Falls Mustangs. “He played with a broken arm all of last year, and my middle son broke his arm twice playing football. Arms heal. It would be different if it were a neck or a leg or something… [but] concussion? No way, no way, we’d be done,” she says, shaking her head. More and more mothers are learning about the dangers of concussions. The Centers for Disease Control reports that the number of reported concussions has doubled in the last ten years. High school football accounts for 47 percent of all reported sports concussions. The biggest concern is repeated concussions. “My greatest fear is one day I’m going to wake up and forget who I am and who the people are around me,” says 22-year old Blake Ripple. He says he suffered over 30 concussions while playing football for Marble Falls High School. “I don’t know what they call it when you start losing your mind. When does it start? When does it set in for me? Am I at that stage? Am I close to that stage? Will I have dementia one day? Am I going to lose my mind? Am I going to go crazy?” he wonders aloud. Ripple was a star playmaker on the defensive line as a nose tackle. He used his 6 foot 2 inch frame and 300 pounds to crush opposing offensive linemen. “I liked playing football. But to be honest I saw it as a means to an end. I figured I had enough talent that could get a college education,” he said. As a junior, Ripple was winning medals in lineman challenges and was scouted by division one colleges. Then the concussions began to take their toll. “My head was hurting a lot, every hit. I told the trainers [and] coaches ‘I’m trading hats and it hurts.’ They said it’s alright. ‘Does it hurt that much?’ And I said I can keep playing, I guess. and they kind of said, ‘well keep playing – get out there,’” he says. Then on Oct. 23, 2009 Ripple and the Mustangs were playing against the Badgers of Lampasas High School. “And I went helmet-to-helmet collision. The other guy fell down and from what I was told I was still standing. I walked over to the sidelines and called for the trainer. He talked to me for about a minute and walked off. I was kind of dazed….didn’t know what was going on. I couldn’t open my eyes it hurt so much. Every light was so bright,” he remembers. Ripple’s parents took him to the hospital that night. That should have been the end of his football playing, but it wasn’t. Against the advice of doctors, he played the next season. “Throughout the senior year, each game was another concussion,” he says. Ripple is suing Marble Falls ISD and his former football coach Cord Woerner because of his injuries. Ripple says the school knew of his concussions and ignored the risks to his health in order to win football games. The school district and Woerner declined to comment about the allegations because of ongoing litigation. Blake is one of those guys that you meet who seems to have won the genetic lottery. He’s a big guy with good looks and a kind heart. He was a National Honor Society student. But today his brain is broken, and it’s up to his mother, Lori Ripple, and the rest of Blake’s family to deal with his deteriorating condition. CTE is Chronic Traumatic Encephalopathy. it’s a progressive degenerative disease of the brain found in athletes with a history of repetitive brain trauma, including concussions and subconcussive hits to the head. The symptoms of CTE are memory loss, confusion, impaired judgment, impulse control problems, aggression, depression, and eventually progressive dementia. In a study released last week, researchers with the Department of Veterans Affairs and Boston University identified CTE in 96 percent of autopsied brains of deceased NFL players they’ve examined and in 79 percent of all football players. In total, the lab has found CTE in the brain tissue in 131 out of 165 individuals who, before their deaths, played football either professionally, semi-professionally, in college or in high school. I asked Ripple if he thought he had CTE. “I don’t know. You don’t know until you die and they cut open your brain,” he answered. But he is certain that he’s dealing with the aftermath of numerous concussions that he received from playing football. Ripple is now disabled. He says he lives in constant pain. He can’t sleep. He can’t focus. He can’t be in places with loud noise or bright lights. “And now I’m on Oxycodone and Marinol. I take basically the legal form of heroin every day. I don’t like it. I hate it,” he says. In April 2013 Ripple decided to face the pain, nausea and discomfort when he traveled to Austin to testify in favor of House Bill 887. It was a bill that limits the time that high school football teams are allowed to practice in full contact to one hour a week. The intent is to reduce the number of head hits experienced by players. Most concussions are received in practice and not during game time. The bill failed to pass. Last March a federal judge threw out Ripple’s lawsuit against Marble Falls ISD. Ripple’s attorney says this isn’t over. He says they will re-file their lawsuit next month. Ripple is asking for actual and punitive damages and reforms to how high school football is coached in Texas. 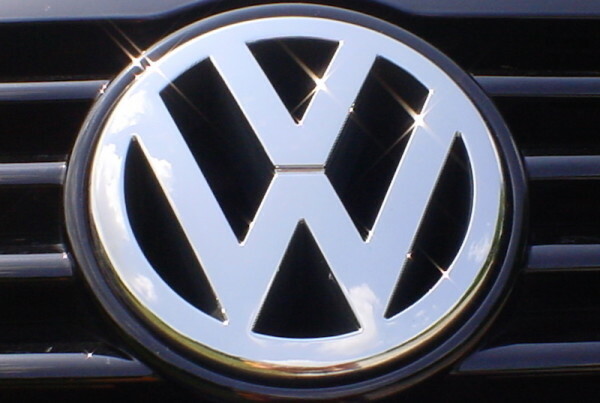 After Volkswagen, You May Be Asking: What Other Products Are Rigged? How Can We Get More Parents to Buckle Up Their Kids?